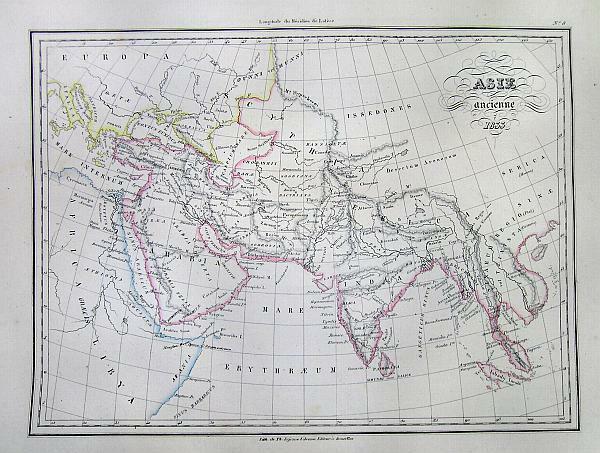 This beautiful 1833 hand colored map depicts Asia in Ancient times. Extends only as far as modern day Vietnam and does not include China. All text is in French.